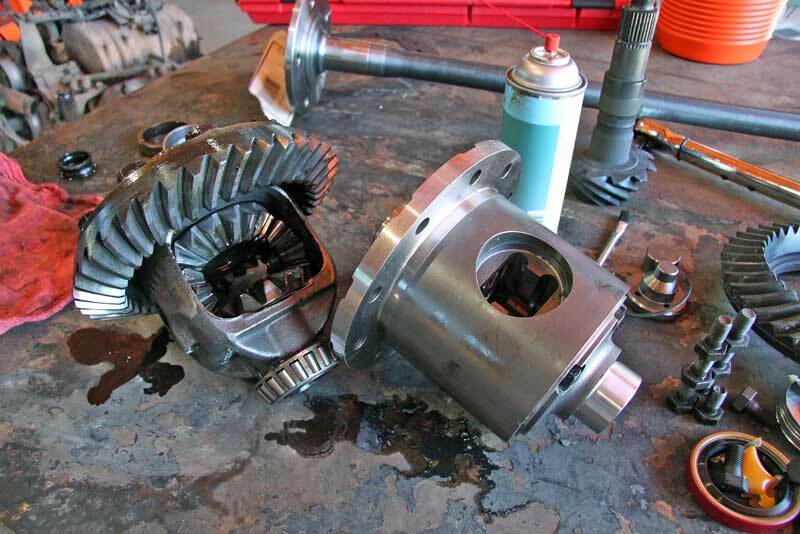 If transmissions are shrouded in mystery, then the rear differential follows on its coattails. Unlike transmission building, rebuilding a rear end is basic nuts and bolts stuff, but that comes a caveat- the set up is the tricky part. Backlash, pinion depth and wear patterns are science and art mixed together, and there are a few specialized tools required. Being the single most use rear differential on the planet, we show you want goes into saving an aging GM 8.5” 10-bolt rear end. 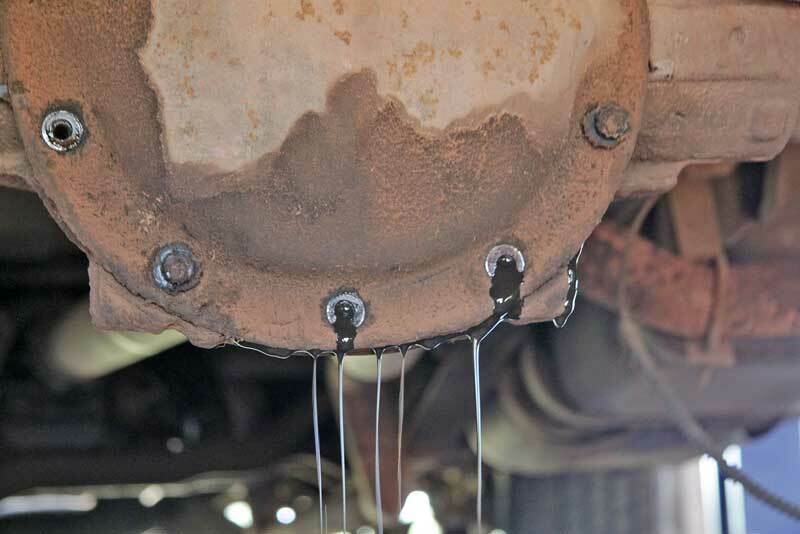 Gear oil is nasty stuff, mostly in smell. The rear end is full of it. 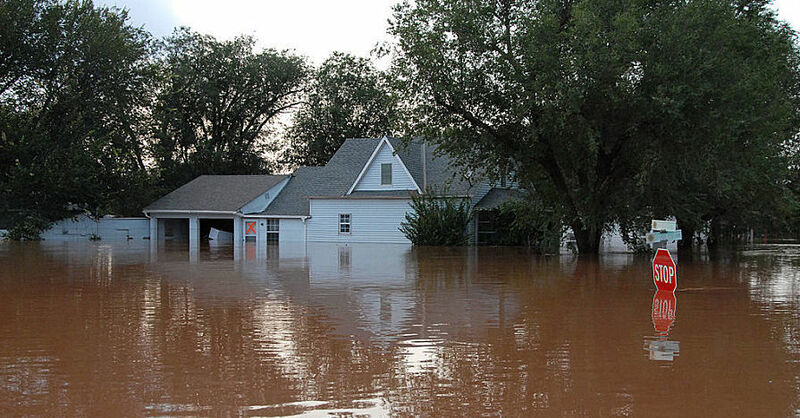 It has to be drained to get a peak inside. 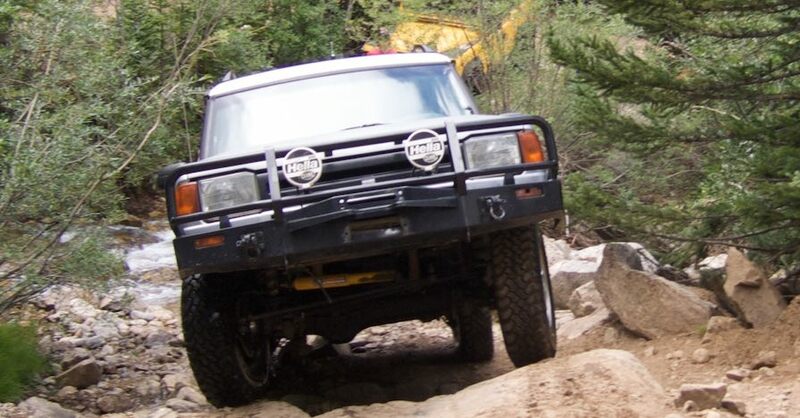 While this article focuses specifically on the GM 8.5″ 10-bolt rear differential, the parts and processes described herein cover most differential housings. 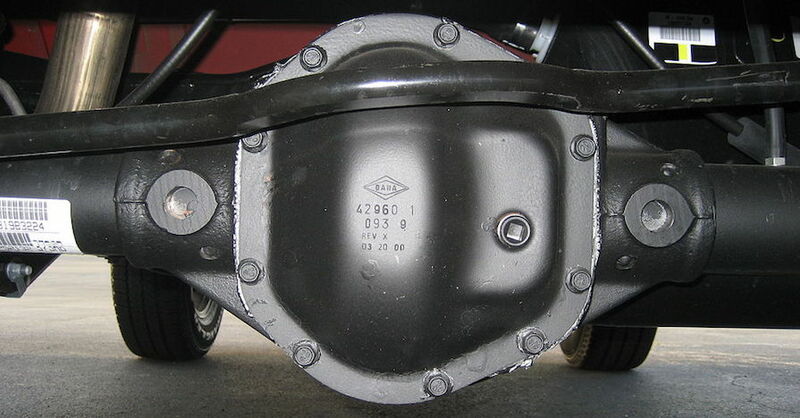 Built from the 1970s through today (the 8.6” 10-bolt is still used in most GM trucks), these housings are the most common on the road, especially for trucks. The most typical breakdowns of the rear end is the wheel bearings. 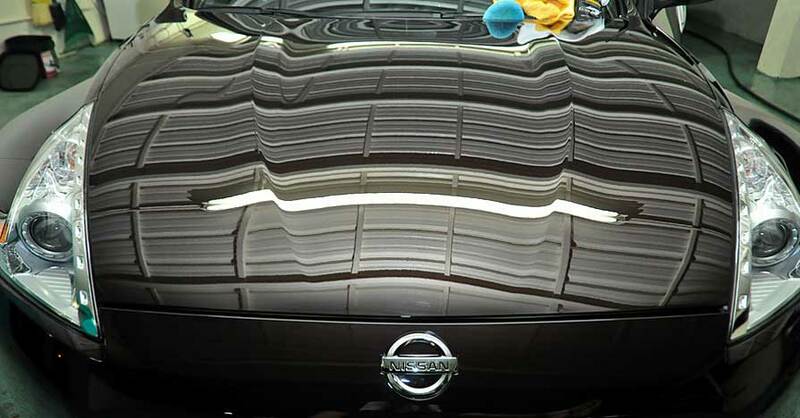 These do not require a complete rebuild, but they do require complete disassembly for cleaning. 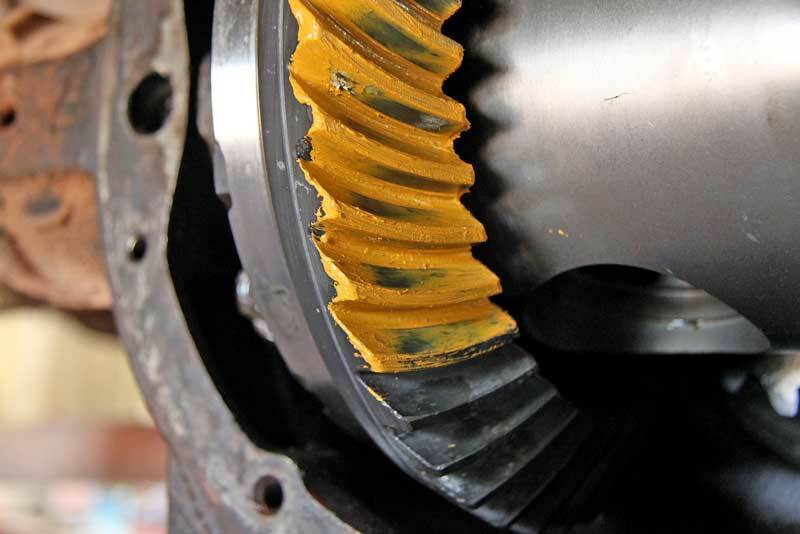 A bad wheel bearing will send a lot of metal shavings through the gear oil. 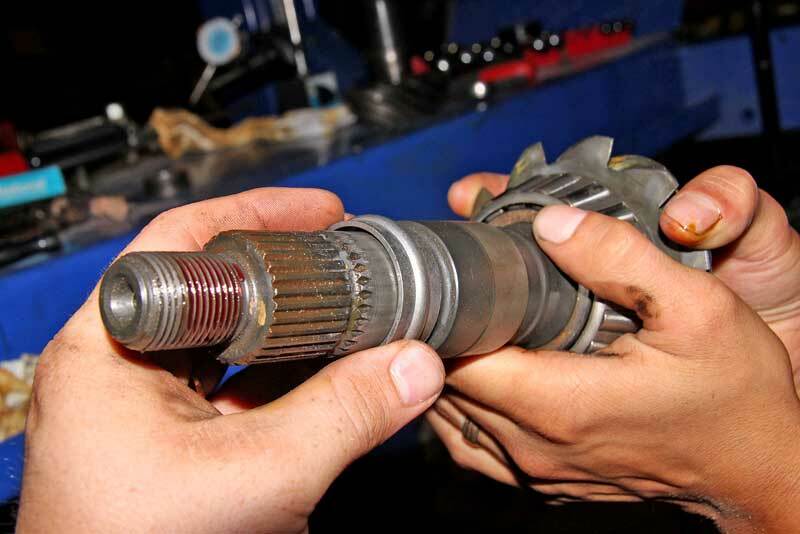 A bad wheel bearing will make a loud howling sound when the vehicle is driven. The howl is constant, it does not change with acceleration or stopping. A tell-tale sign of a bad bearing is a leak of gear oil on the inside of the tire. 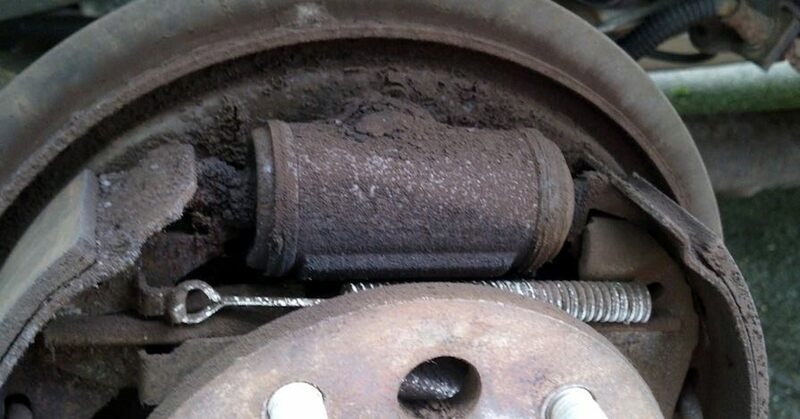 If not repaired, a bad bearing can seize, causing an unsafe driving condition. The differential carrier holds the ring gear and connects the pinion gear to the rear axles. This unit shown is an open-type, no posi. When things get more serious, the rebuilds get more intense. 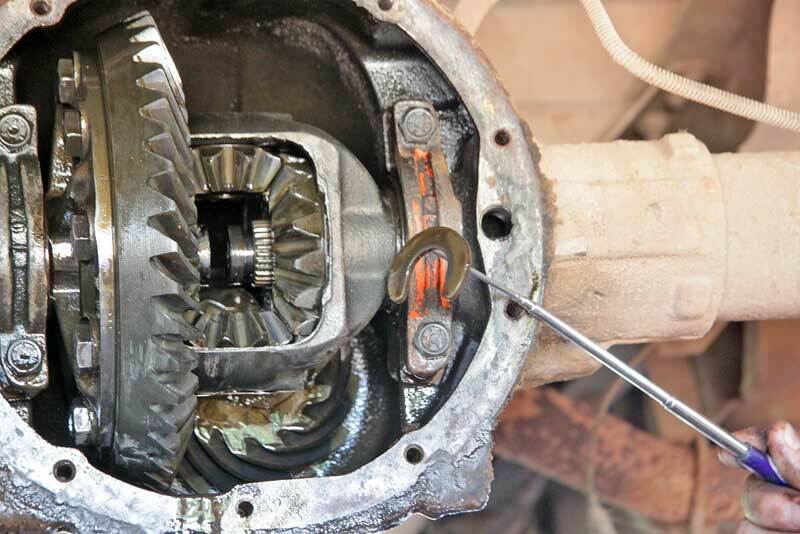 The bearings on the pinion gear and differential itself can go out, which cause a similar howl to wheel bearings, only the sound will change if you accelerate or brake. 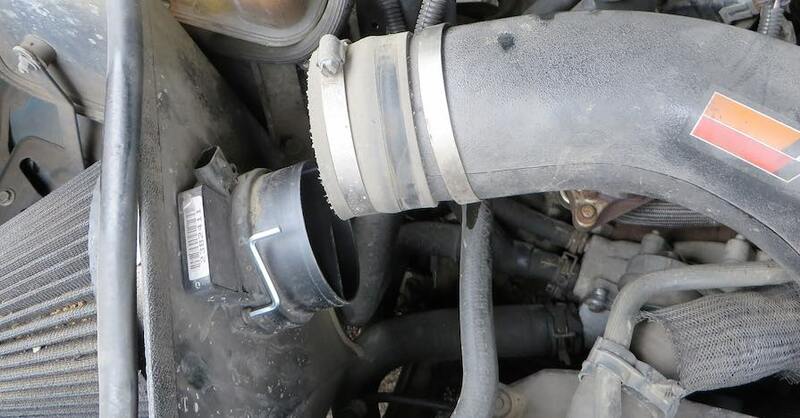 Usually, a bad pinion bearing howls when you are not accelerating. 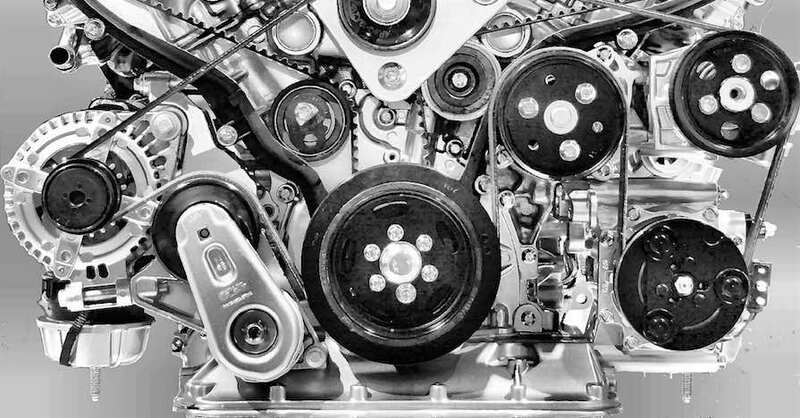 This can also be a sign that the gears are worn or out of mesh, so any type of howling noise should be inspected immediately. This is a C-clip. Most rear ends use these to hold the axles in place. When these break, the entire axle and wheel assembly falls out. 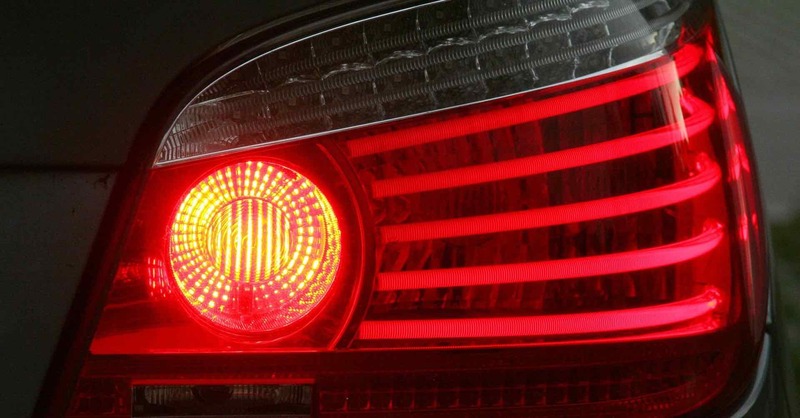 Clunking, banging, and vibrations can also be a sign of worn rear end components, including broken gear teeth, a damaged rear differential carrier, and bent axles. Replacing these parts as soon as possible is the key to minimizing your repair costs, and reduced the risk of a catastrophic failure. On the right is an Eaton Detroit TrueTrac LSD-type differential. This one spins both wheels under power, unlike the open-style off on the right. Before we start, let’s identify the parts. 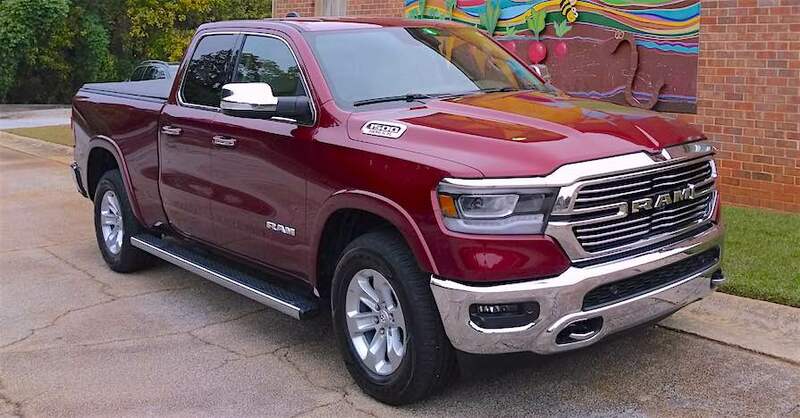 Some people trash talk the GM 10-bolt as a junk rear end, and if they are talking about the 8.2”, then they are not far off, but the 8.5” 10-bolt is actually just as strong as a 12-bolt or Ford 9-inch rear, with only a fraction of an inch difference in the ring-gear diameter. Since both the 8.2” and 8.5” 10-bolt rears have the same cover, you have to look for some key signs as to which unit you have (short of taking it apart and measuring). All 8.5” 10-bolt rears have two squared-off ears at the 4 and 6-o’clock on the bottom of the pumpkin, that is the #1 tell-tale sign, if you don’t have those, you don’t have an 8.5” 10-bolt. Up until 1988, all GM 8.5” 10-bolts had 28-spline axles, which are thinner than and not as strong as the upgraded 30-spline axles. Finding 30-spline axles is easy, you just have to take some measurements and order them. You should also check to see if the rear carrier is posi or open-style, the easiest method is to jack up the rear of the car and spin the wheels, if they both spin the same direction, you have a posi, if they spin in opposite directions, you have the classic peg-leg rear. Our 8.5” had 28-splines and an open-carrier, not to mention some clanking, groaning and a general worn-out feel. While we could have stayed with the open carrier and 28-spline axles with no real consequences, posi is so much better. 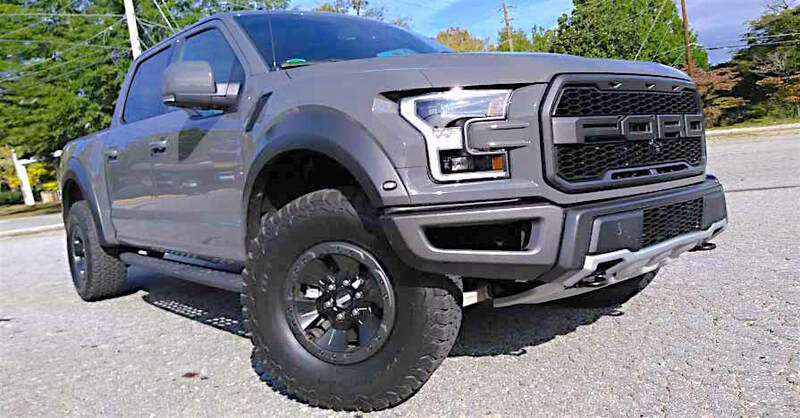 For this build, we special ordered a new Eaton TrueTrac posi unit from our local NAPA Auto Parts Store so that we would have the excellent noise-free turning and straight line traction that we need. The TrueTrac comes in both 28- and 30-spline versions and we chose the 30-spline. That meant we needed new axles. Another call to NAPA got us the rest of the goods- 30-spline axles, 3.73:1 gears (an upgrade from the 3.07s) and all the bearings, seals and gaskets. 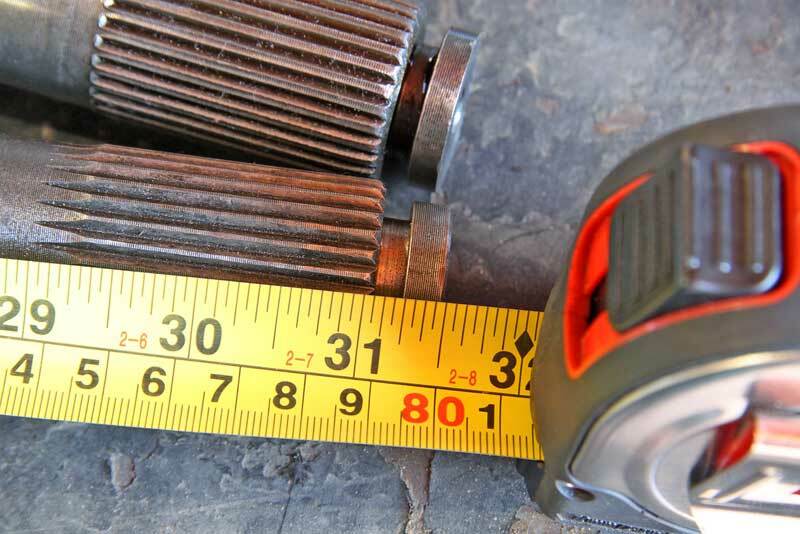 Axles are measured in both length and spline count. The more splines, the larger diameter. This has to match the differential. To get the rear set up properly, you will need some tools – specifically, a dial-indicator with a magnetic base and some calipers. These are used to check the backlash of the gears and the thickness of the shims respectively. Backlash is the amount of play the ring gear can move before the pinion moves. 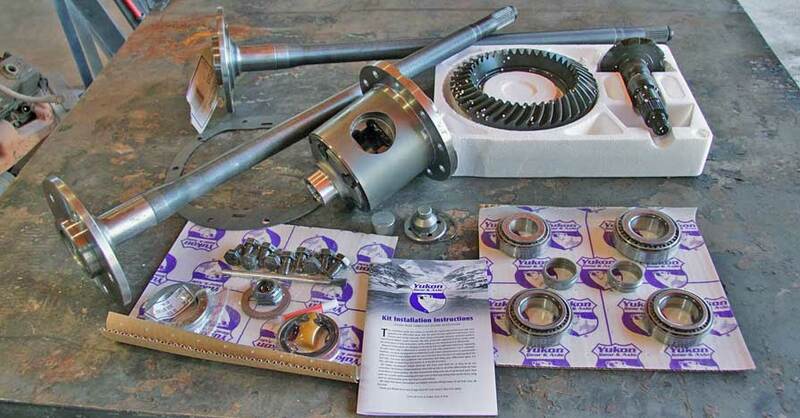 Each rear-differential type (as in 12-bolt, 10-bolt Dana 60 etc) has its own specs, these are usually included in the gear-set instructions. The 8.5” 10-bolt should have between .006 and .010” of backlash, we are not talking about much, and the only to check this is with a dial indicator. This is the basis for the rest of the install, so it needs to be checked first and it needs to be right. Next the contact pattern must be checked, which is done with colored grease (included as part of the new gear install kit). A dial indicator with a magnetic base is used to set the backlash on the gears. 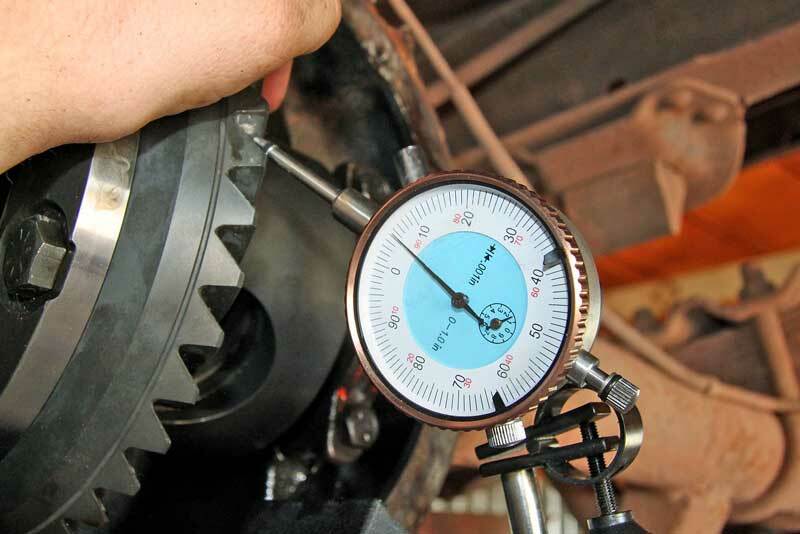 This takes a little practice to set up correctly and is critical to proper installation of a new gear set or differential. Gear mesh is also critical, and improper set up will permanently ruin a set of gears within 100 miles. This mesh pattern shows that the pinion gear is too close to the ring gear. Between the pinion bearing and the housing is the crush sleeve. These only crush once and are not reusable. Swapping gears is not that difficult, but it takes time to learn the process and a lot of trial and error. Setting the backlash and pinion depth (dictated by the contact pattern) means installing and removing the carrier and pinion. On this swap, we did this about 15 times, for various reasons. The end result is a better traction, more power (though the engine does spin a bit faster at speed because of the lower gears) and all around better drivability. 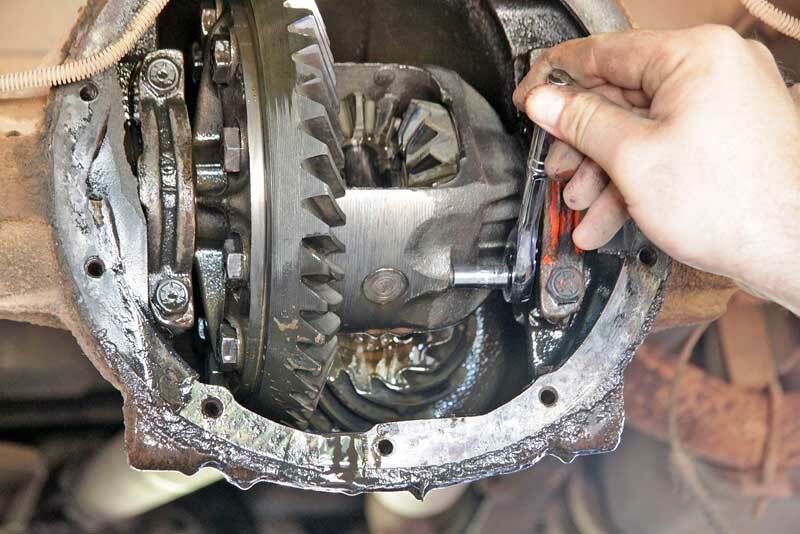 Whether you want more performance and capacity or you just need to replace some worn-out parts, rebuilding your rear differential quickly restores your vehicle’s driving performance. 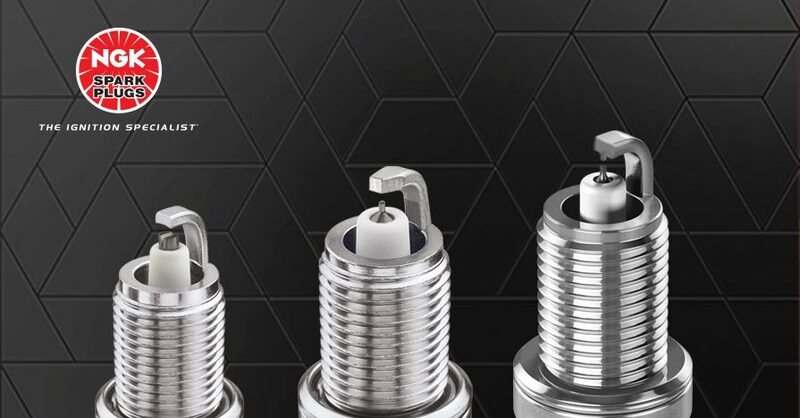 Check out all the driveline & wheel parts available on NAPA Online or trust one of our 16,000 NAPA AutoCare locations for routine maintenance and repairs. For more tips on rebuilding a GM 8.5” 10-bolt rear differential, chat with a knowledgeable expert at your local NAPA AUTO PARTS store. I’m in the process of putting together my first trail rig & just blew up my 12 bolt rear on my 81 k5 got a decent set of tools & im OK at turning wrenches how long of a process is rebuilding that 12 bolt gonna be? I’d say 8-hours for a decent mechanic doing it for the first time. The setup is what takes time, so you have to take time doing all that right. Hi.. 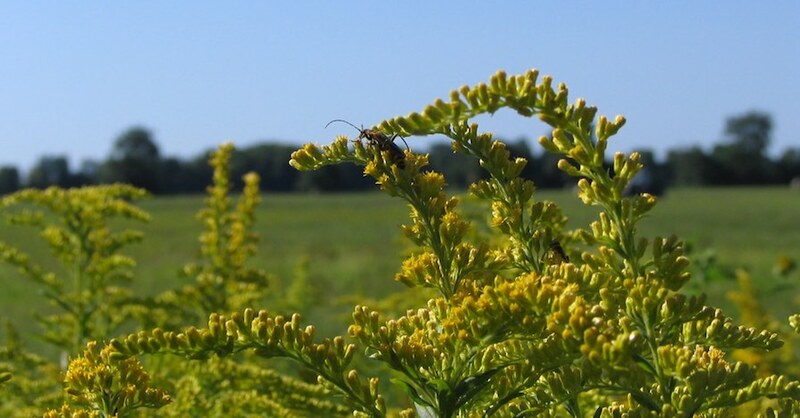 I really do appreciate the post, detailed information and good pictures. I’ve never done a rear axle before but I have the tools, time and equipment so I think I’m ready. Thanks for explaining pinion bearing pre-load. I had a mechanic once who changed the pinion oil seal and then used an impact wrench to slam-jam tighten the pinion nut. I’m guessing that disturbed things because now the rear end is roaring. After reading the post and understanding how things work, it’s clear now as to why. Thanks again.